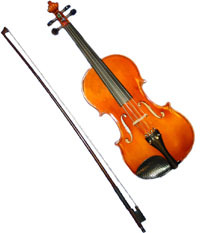 The Violin is the smallest, and is therefore the highest in pitch. It is also the most popular. 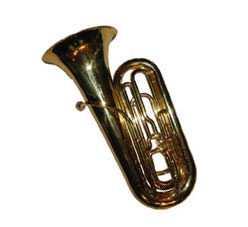 It is played with the instrument under the chin while sitting or standing, and its small size makes it easily transporable. 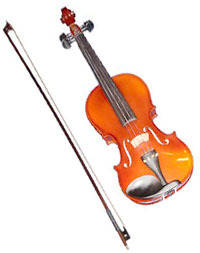 The Viola is very similar to the violin, only slightly larger, and slightly lower in pitch. 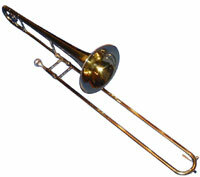 It may be played while sitting or standing, and it's tone is regarded as mellow and sweet. Like the violin, it is easily transportable. 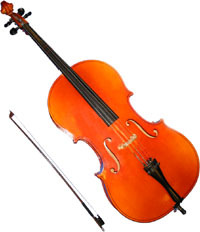 The Cello is much larger and lower than the viola, and must be played while sitting with the instrument between the knees. Fortunately, cellos are made for students of all sizes. 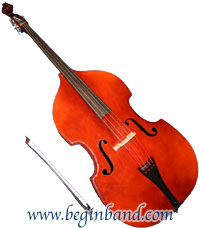 The String Bass is the largest and lowest string instrument in the orchestra. It is played while standing or sitting on a stool. 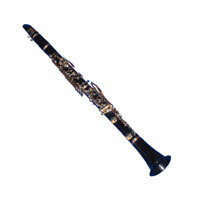 It is also made different sizes so that any size student can do well on the bass. The Bells are a percussion instrument. 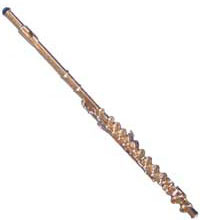 Sound is created by striking pieces of metal with a plastic or wood mallet. The notes are configured like a piano keyboard and usually have the names of the notes printed on each bar. 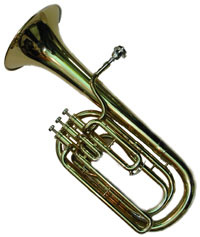 The Snare Drum is the smallest drum in the percussion section. 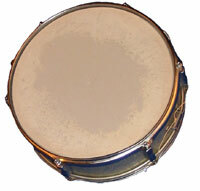 This is the most popular drum and is used in nearly all styles of music. For beginners, practice pads are often used to dampen the offensive sound.